A jazzy evening of Mardi Gras style fun to benefit The Bella Foundation! Get ready for a Pawsitively Purrfect Pawdi Gras Party, Oklahoma! 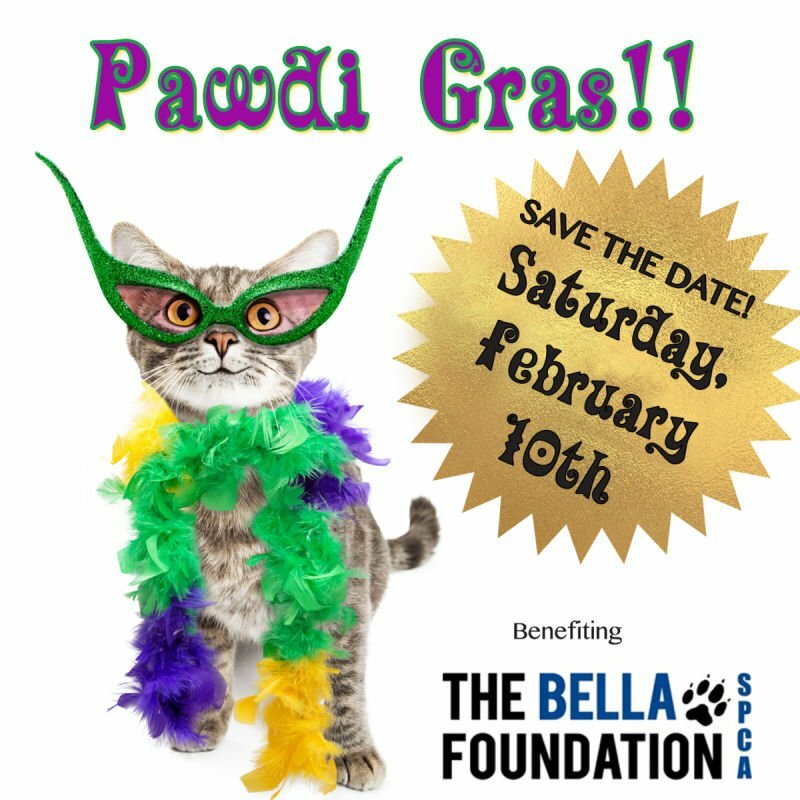 A Mardi Gras themed event to benefit The Bella Foundation! Pawsitively Purrfect aims to make one small corner of the world a better place through local activism centered on animal well-being. Based in Oklahoma City, we use our talents and resources to raise money for local animal charities whose good work spreads kindness to the animals we love. Join us for a jazzy evening of live music, dancing and cocktails - Mardi Gras style- to benefit The Bella Foundation! 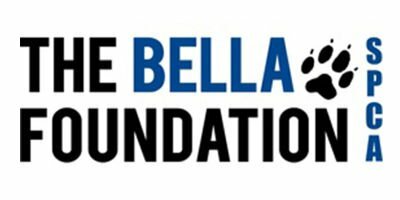 The Bella Foundation is a non-profit 501(c)(3) organization based in Oklahoma City created to assist low-income, elderly or terminally ill pet owners with the cost of veterinary care when it cannot be afforded. Every year thousands of animals are euthanized or sent home to die because the people who love them cannot financially absorb the cost of veterinary care. Stray and abandoned animals have even fewer options when brought into a clinic or veterinary office with no owner to pay for their care. At The Bella Foundation, we believe every animal deserves to receive the best possible care regardless of the owner’s ability to pay. When an owner brings an animal into a clinic for care and cannot afford the cost, the attending veterinarian can contact The Bella Foundation for assistance. If assistance is given, the owner must agree to volunteer 8 hours of their time at either The Oklahoma City Animal Shelter or their local shelter. Stray or abandoned animals are cared for with no stipulation attached. We also require that every animal sponsored by us be spayed/neutered and microchipped. Microchipping is an inexpensive way to reunite lost pets with the owners who are responsible for them. Third and finally, the Italian word "bella" translates to "beautiful" in English, helping any creature great or small is a beautiful thing. These amazing Oklahoma-based vendors & fellow animal lovers are on board to make this year's event a success! Please visit their websites to learn more about their services. We are thrilled to hold this year's Pawsitively Purrfect Pawdi Gras event at the Aloft Hotel in downtown Oklahoma City! The largest provider of lighting, staging & sound in Oklahoma, Toucan Productions, will provide the amazing atmosphere that will make our Pawstiviely Purrfect Pawdi Gras experience spectacular! We're so happy to have Cheesebox on board to add some extra fun to our Pawdi Gras celebration! Say cheese in theThe CheeseBox modern photo booth! In The Shadow Productions will provide our disc jockey services throughout the evening! Danielle & Cody Hanson are the founders of Pawsitively Purrfect. 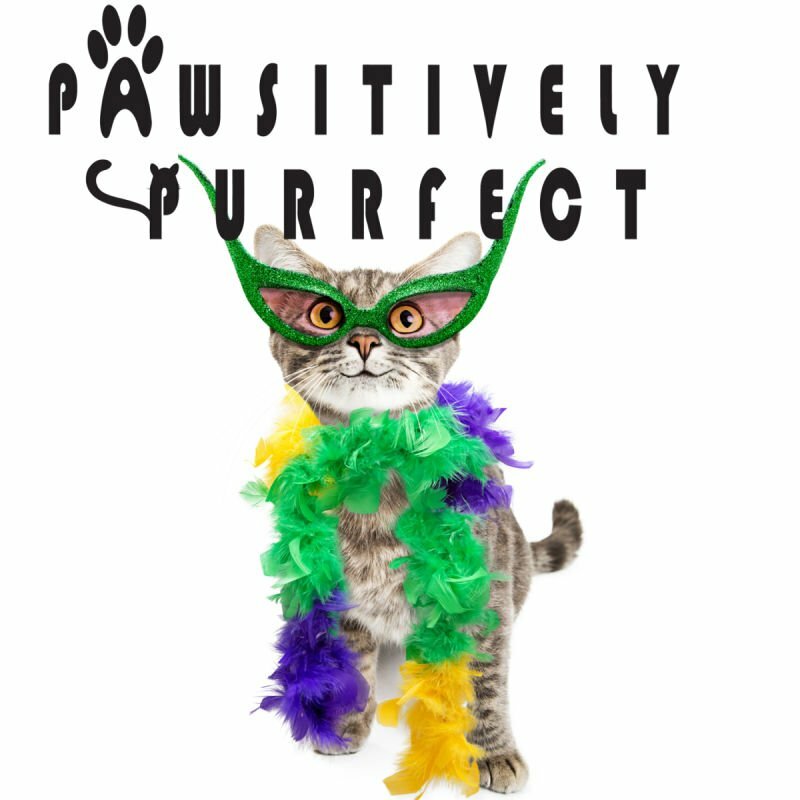 Danielle's company, Sue & Lou Events, is proud to work work with each of the fabulous vendors to plan A Pawsitively Purrfect Pawdi Gras!